Heading to the last location scouted the previous day I ran into another painter, Manon Sander. After meeting and talking with her a bit I set up my easel thinking that the "porch painting" should have been my last one because the thunder clouds were forming faster and getting darker. I got a good start when the rain began... Slowly at first and then later in sheets! When it first started I looked around and Manon was painting (Tip!) under a clear plastic umbrella! The kind that covers your head and shoulders but you can still see through it. Great idea! ...I dumped the water out of my palette a few times before the painting was far enough along to pack up. Then we headed back to Sanford St where Ann and I sat on the porch and watched the deluge of water streaming down from the sky. 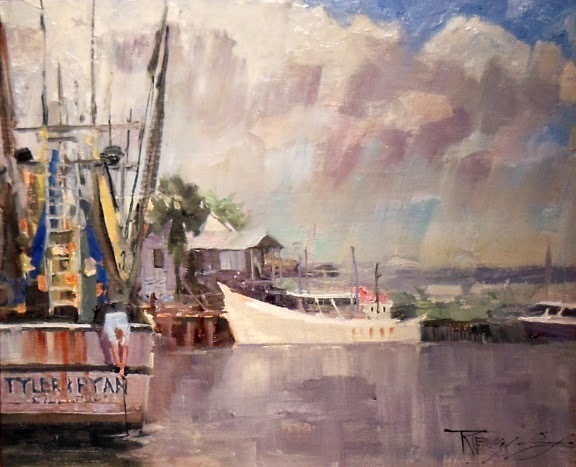 "Pulling the Trap" was the painting I entered into the plein air competition. While it won no awards it did sell within the first couple hours which I consider an award by itself! Sorry I don't have pics of all the award winners. It was just a really busy week!! 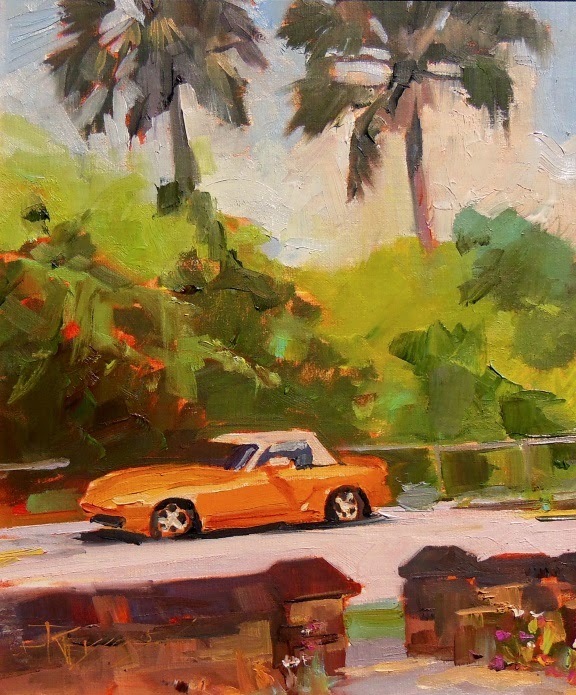 There are still paintings from the OPA national exhibition for sale at Cutter and Cutter Fine Art in St. Augustine. You can view them HERE. I was really impressed with the folks at Cutter and Cutter! They worked very hard to display the work to it's best advantage. 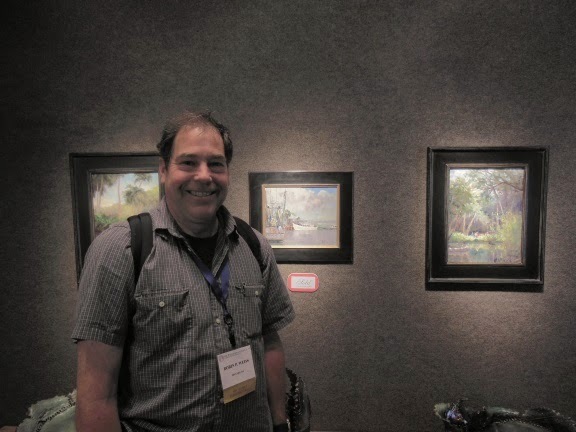 They were friendly and helpful to the artists and collectors seemed to love the gallery and the fine folks who work there! "Shrimp and Grits" ! Excellent! This view is from the awesome front porch of our very cool AirB&B in the Lincolnville district of St Augustine. I painted from the porch because the weather report predicted thunderstorms and rain. Well, it didn't start raining until I set up out in the open for my last painting of the day!...However, the owner of the car in this scene decided to leave after I just laid down the under painting. I had to use my trusty camera monitor to "Get er done"
Speaking of cars did I mention that Ann's sister Nancy loaned us her Mercedes SL550 to drive down to St Augustine? Well, the crazy girl did! We had a blast cruising down the A1A ! Thanks Nancy! She didn't even mind when I joked about getting purple paint on the white leather interior. 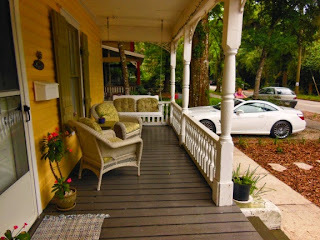 This is the front porch of Ron and Lizy's B&B where I did the painting and that's Nancy's car in the drive. 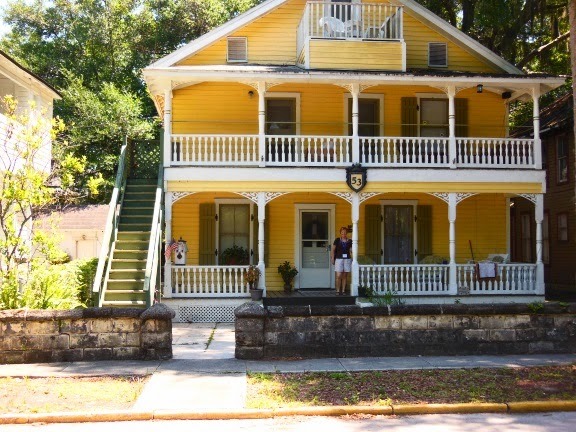 During the OPA National Convention we stayed in an Air B&B owned by Lizy and Ron in the Lincolnville district of S.A. Great hosts and I highly recommend staying there! I mapped out three locations the day before the start of the plein air competition. All three were very close to our B&B so I could easily walk to each location. 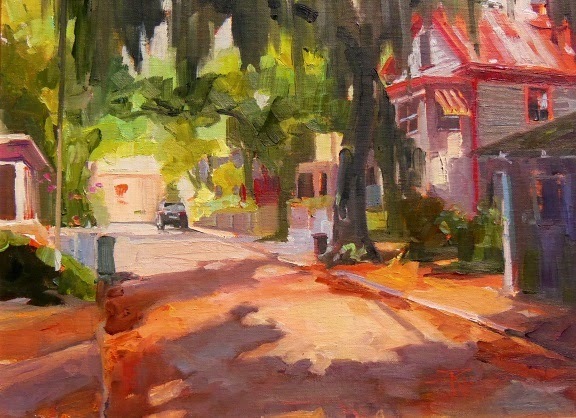 the first one was just two blocks down Sanford St. to this lovely little tree covered lane with the old houses, dappled in sunlight, lining the street. As I was happily painting, the neighbors stopped by to chat and see what I was up to. They weren't used to seeing artists out painting on the street. One neighbor said to me"That's Debbie Moore's house!" "She used to sing jazz with Bennie Goodman" She's ninety years old now"
Sure enough, I did a little research when we returned and Debbie(McDade) Moore did indeed sing jazz in a number of venues. 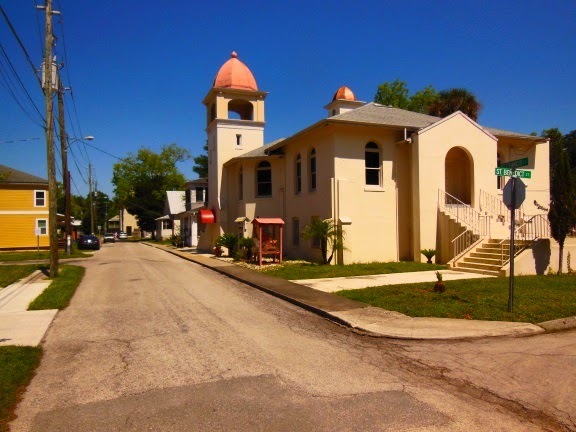 Click HERE to read an interesting history of Debbie(Mcdade) Moore and the Lincolnville district of St Augustine. The Oil Painters of America National Convention in St Augustine Florida was a great success and a really fun time! If you ever get the opportunity to travel there don't pass it up! We arrived a day early and had the chance to connect with Lyn Asselta. Here's a tip... Before you travel to an event in an unknown location, look up artists that live there and contact them. 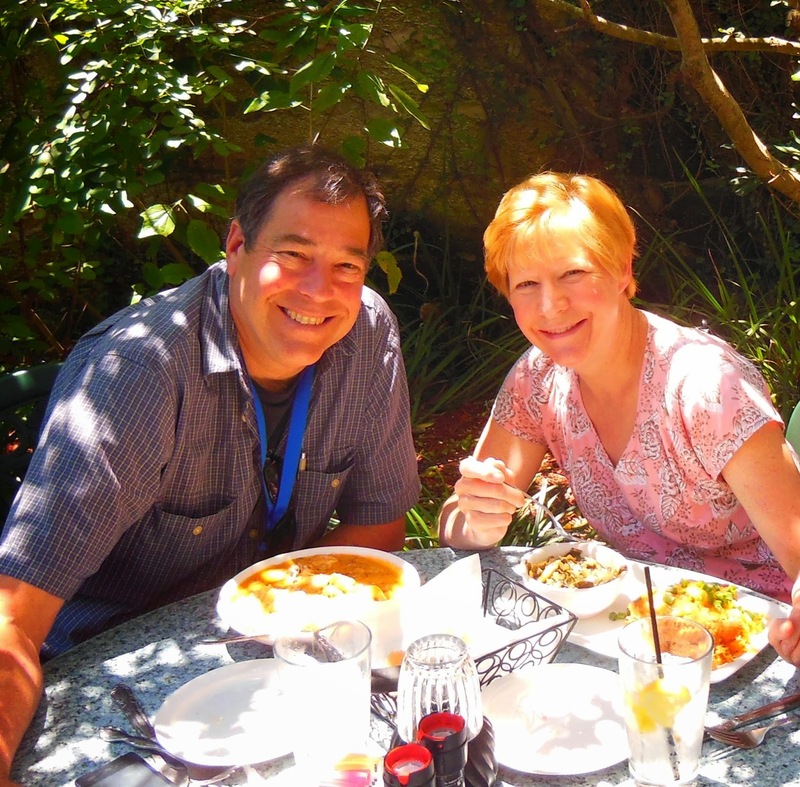 You just may make a great new friend ...and learn a bit about the area that will save time and frustration. 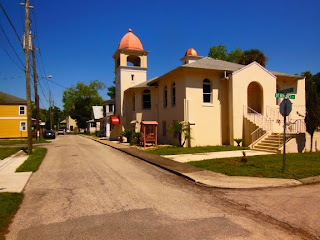 Lyn took me to Anastasia Island just a hop over the bridge(there are four of them)from St Augustine. 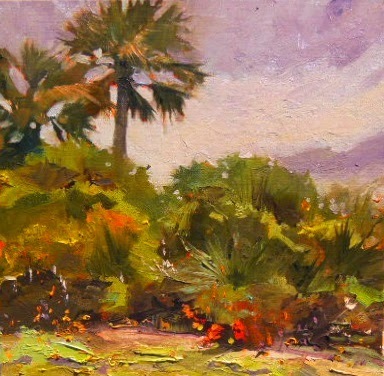 It was a great spot to practice painting palm trees (Lyn never paints them!) and warm up for the plein air painting competition. It all worked out great! I found out what I forgot, managed to do a decent warm up painting and made a new friend! 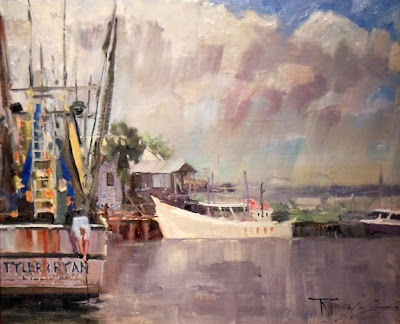 Do check out Lyn's amazing pastel work HERE ..Thanks Lyn, for making my visit to St Augustine so much more enjoyable!